Cloud APIs offers programmatic interfaces for all Google Cloud Platform services. Stackdriver Monitoring provides visibility into the performance, uptime, and overall health of cloud-powered applications. Stackdriver Error Reporting counts, analyzes and aggregates the crashes in running cloud services. 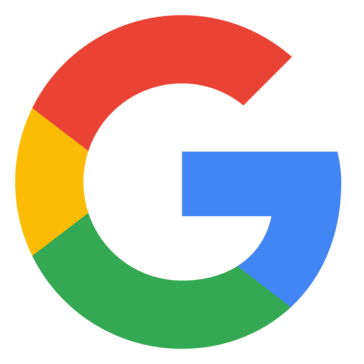 Google's Stackdriver Trace is a distributed tracing system that collects latency data from user's applications and displays it in the Google Cloud Platform Console. Google Stackdriver Debugger is a feature of the Google Cloud Platform that lets users inspect the state of an application at any code location without using logging statements and without stopping or slowing down their applications. Google Cloud Deployment Manager allows users to specify all the resources needed for their application in a declarative format using yaml. Cloud Datalab is a powerful interactive tool created to explore, analyze, transform and visualize data and build machine learning models on Google Cloud Platform. Google Genomics is designed to help the life science community organize the world's genomic information and make it accessible and useful. Google Cloud DNS is a scalable, reliable and managed authoritative Domain Name System (DNS) service running on the same infrastructure as Google. Google Cloud Identity & Access Management (IAM) is a software that lets administrators authorize who can take action on specific resources, giving a full control and visibility to manage cloud resources centrally, it established enterprises with complex organizational structures, hundreds of workgroups and potentially many more projects to provides a unified view into security policy across entire organization, with built-in auditing to ease compliance processes. Cloud Identity-Aware Proxy (Cloud IAP) controls access to user cloud applications running on Google Cloud Platform. Google Cloud Data Loss Prevention API allows users to automatically discover and redact sensitive data everywhere. Google Cloud IoT Core is a fully managed service that allows users to easily and securely connect, manage, and ingest data from millions of globally dispersed devices. Google Cloud SQL is a fully-managed database service, designed to make it easy to set up, maintain, manage, and administer a relational PostgreSQL BETA and MySQL databases in the cloud. Cloud Spanner is a fully managed relational database service designed to offer both strong consistency and horizontal scalability for mission-critical online transaction processing (OLTP) applications. Google Persistent Disk is durable and high performance block storage for the Google Cloud Platform. Cloud SDK is a command-line interface for Google Cloud Platform products and services. Google Cloud Source Repositories provides Git version control to support collaborative development of any application or service, including those that run on Google App Engine and Google Compute Engine. Google's Firebase Test Lab for Android provides cloud-based infrastructure for testing Android apps. Cloud Endpoints enables users to develop, deploy, protect and monitor their APIs. Drive: Store everything, share anything. Automatically sync files from Mac or PC to your personal drive in Google's cloud. Access files anywhere. Calendar. Stay in sync with your team. Shared calendars make it easy to see when people are free. Creating a new event is easy. Email wherever you work. Gmail works on any computer or mobile device with a data connection and offline support lets you keep working even when you're disconnected. Whether you're at your desk, in a meeting, or on a plane, your email is there. Host virtual meetings. Increase your team's productivity with meetings that hold up to 10 people and powerful tools like screen sharing and Google Docs. Google Keep is a note taking and checklist app for browser and Android that focus on simplicity, keep works on phone, tablet and computer and syncs across devices to keep important stuff is always with you. Google sheets is a cloud-based productivity tool for creating and managing spreadsheets. Google Cloud Data Transfer is designed to allow users to transfer data to the cloud quickly and securely. Yu-Track Enterprise is an IT platform that allows you to know and manage in real time the behaviour of your workforce. Plan the routes, schedule the visit to your customers and obtain the most important KBI's with which to organize your sales strategy.